Note: Fits Camaro model years 2010-2013. 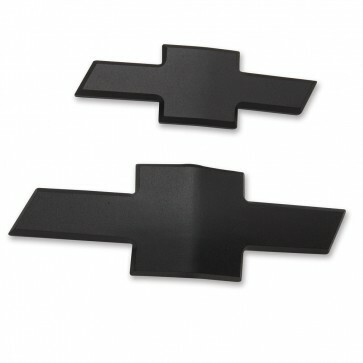 Replace the gold factory bowties on the grill and trunk of your Camaro with these fine crafted bowties made from black powder-coated 6061 aluminum billet. Bowties are adhesive-backed with 3M automotive tape for easy installation. Set of two. Four year limited manufacturer's warranty.